Clément Lenglet is in Barcelona and after landing he made his first statements as a Barça player to BarçaTV. "I am very happy and very proud to wear the Barça shirt, it’s an honour for any player,“ he said. The second signing of the 2018/19 season has arrived with the greatest ambition: "I want to win titles, and I am going to try to give everything and work hard to make people happy.” The Frenchman also has another goal: “To grow as a player." In addition, the centre-back said: "Being here is a dream. 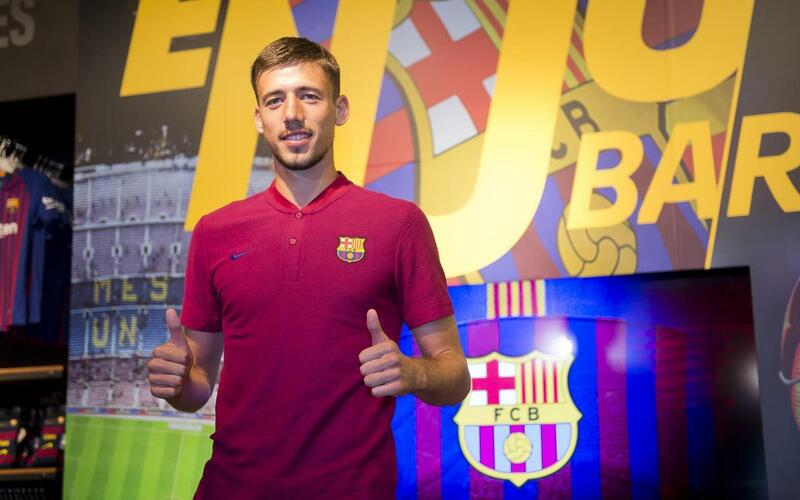 I want to enjoy the Stadium and the whole Barça atmosphere.” After leaving the airport, Lenglet visited the FC Barcelona Megastore to get his first taste of the Club as a new Barça player.